If old furniture and other items are cluttering your Atlanta, Georgia home, consider making a furniture donation to American Kidney Services. We’re a 501 (c)(3) charitable organization that collects donations of many kinds of household items and uses the money they generate to support groups whose work aids those affected by kidney disease. We can pick your furniture donation up right from your Atlanta area home; simply fill out our online form or call us to be added to our rotational pick-up list. We’ll contact you when we will be in your area to see if you have any items for us to collect. During our rotational pickup, we accept donations of small, easy-to-lift furniture, like dining chairs and side tables, but you can also schedule a special pickup of larger furniture. 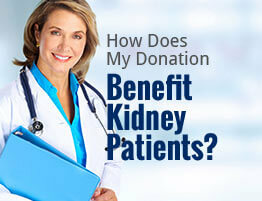 So, why make a furniture donation to American Kidney Services rather than another Atlanta, GA non-profit? First and foremost, your donation to us helps save lives. Kidney disease is a serious, life-threatening illness, and people with chronic kidney disease have to regularly undergo an expensive treatment, dialysis, to stay alive. For some people, dialysis costs too much, and they find themselves having to make an impossible decision between getting treatment and buying groceries or having electricity for their home. We at American Kidney Services want to keep as many people as possible out of this hard situation, so we collect unwanted items and give the funds they generate to programs, like those of the American Kidney Fund, that provide financial support to kidney disease patients and their families. You can declutter your home. Getting rid of unwanted furniture frees up a lot of space and can do wonders in making your Atlanta home feel airy, open, and clean. It’s good for the planet. When you make a furniture donation, less new furniture is made, which saves energy, the earth’s limited raw materials, and space in landfills. 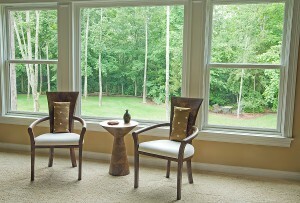 You make furnishing a home much more affordable for families who are struggling financially. We make donating furniture easy. You don’t even have to leave your home to make a furniture donation. A furniture donation to American Kidney Services is an act of kindness that is good for so many reasons. It means more to someone than you can know. To learn more about making a furniture donation to us, please contact us today. We greatly appreciate all of our Atlanta area donators. *To the fullest extent allowed by law.